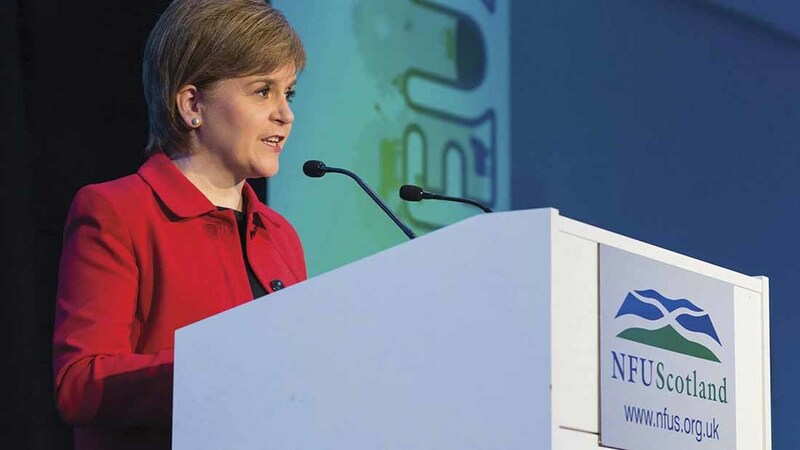 Scottish First Minister Nicola Sturgeon has announced a £10m funding boost for the food and drink industry and announced plans to double the value of the industry to £30bn by 2030. Speaking at Scotland Food and Drink’s 10th annual conference in Glasgow, the First Minister said: “Scotland’s food and drink sector has enjoyed phenomenal success over the past ten years with unprecedented growth in turnover and exports, including food exports alone doubling to £1.5 billion,” she said. She added the Government was ‘doing our utmost to support the industry’ due to the uncertainty caused by leaving the EU and single market and the ‘profound effect’ it could have. Scottish Food and drink exports grew by £421 million in 2016, to a record £5.5 billion. Andrew McCornick, NFU Scotland President the vision set out today showed there was ‘still so much more that can be achieved’. “A lot of growth is ahead, a lot of jobs will continue to be supported and more will be created. The supply chain is profitable but not all in this chain currently share in that profitability. “Provenance is the foundation of this industry and that foundation starts on our farms and crofts. We need to do better in making our farms part of the food and drink chain. “We don’t want farmers simply to be used in the pictures promoting our food and drink industry,” he said.